Conrad Schnitzler was, without doubt, one of the most important and influential figures in German music. Having studied under Joseph Beuys, he cofounded the legendary Zodiak Free Arts Lab in Berlin with Hans-Joachim Roedelius. For next the two years, the Zodiak Free Arts Lab became one of Berlin’s cultural hubs. Artists and musicians made their way to the Zodiak Free Arts Lab, seeking out like minded individuals. They found them. This included Klaus Schulze, plus members of Can, Ash Ra Tempel, Agitation Free and Tangerine Dream, who Conrad Schnitzler joined in 1969. By then, Tangerine Dream had become the Zodiak Free Arts Lab’s house band right up until its closure in March 169. Regularly Tangerine Dream played five and six our sets of loud, improvised music. Often these sets ended with the band smashing their equipment up. Tangerine Dream it seemed, were making a statement. This they certainly did on their debut album. Conrad Schnitzler joined Tangerine Dream just in time to play on their groundbreaking debut album Electronic Meditation in October 1969. Tangerine Dream fused elements of avant-garde, electronic music, free jazz and rock. This proved popular with critics and cultural commentators. Nine months later, Electronic Meditation released on Rolf-Ulrich Kaiser’s Ohr label. Critical acclaim accompanied the release of this future Krautrock classic. 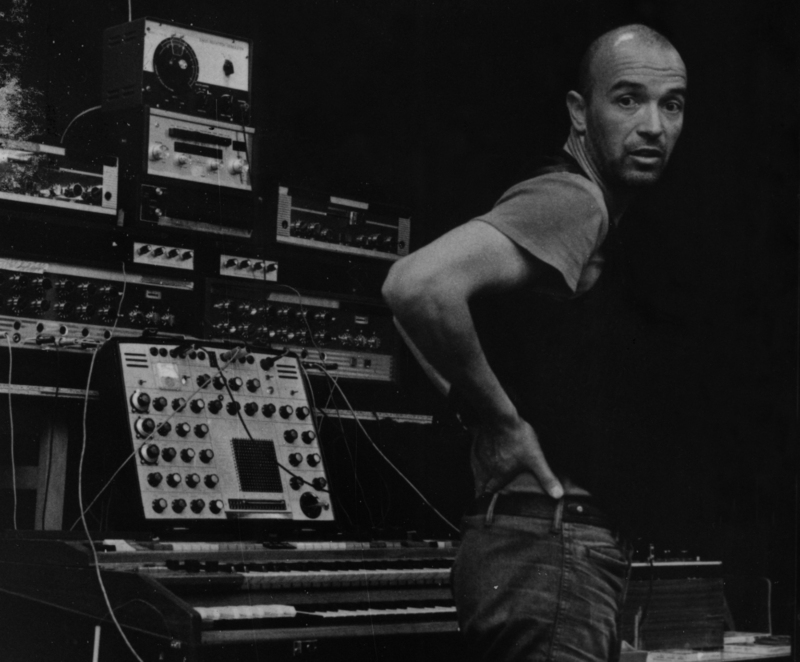 However, by the time Electronic Meditation was released Conrad Schnitzler had parted company with Tangerine Dream. 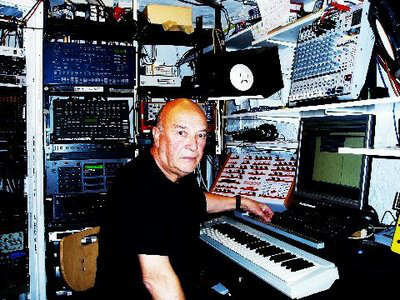 After leaving Tangerine Dream, a new chapter in the career of Conrad Schnitzler began later in 1969. He and Hans-Joachim Roedelius decided to form a new band, Kluster with Dieter Moebius. Kluster wasted no time in recording their debut album. To record their debut album, Kluster had managed to secure sponsorship from a local church. This would offset the cost hiring the Rhenus-Studio on 21st December 1969. That day, Kluster were joined by Christa Runge who added religious texts to Kluster 1. Just like Kluster 2, it was an ambitious improvised piece where Kluster combined avant-garde and experimental music.These tracks became Klopfzeichen, which was released in November 1970. By then, Kluster had recorded their sophomore album. Just two months after recording their debut album, Kluster returned to the Rhenus-Studio on February 23rd 1970 to record Zwei-Osterei. Just like Klopfzeichen, it was financed by a local church. Manfred Paethe added religious texts Electric Music and Text. It became part of Zwei-Osterei., a fusion of avant-garde, experimental music and Krautrock. However, Kluster’s sophomore album wasn’t released until 1971. Later in 1971, Kluster performed what would be their swan-song. That night, the tapes were running and captured Kluster at their purest. There were no religious texts accompanying the two lengthy improvised pieces. They find Kluster’s music evolving towards the electronic sound that featured on later Cluster albums. That night, Kluster came of age musically, having saved the best until last. It was released in late 1971 as Schwarz. By then, Conrad Schnitzler was contemplating a solo career. Conrad Schnitzler’s solo career began in 1973 would span four decades. During his long career, Conrad Schnitzler continued to create ambitious and pioneering music. This includes the music on the first two albums of Conrad Schnitzler’s career. Con was released in 1972 with Blau following in 1973. Both albums were self-released by Conrad Schnitzler and featured intriguing electronic patterns, tape manipulations and dark, moody experimental sounds. These albums were later hailed as classics, and would introduce Conrad Schnitzler’s music to a wider record buying public. So did the first in a series of cassette albums Conrad Schnitzler released. Cassettes were the perfect medium for Conrad Schnitzler. They were much more affordable than vinyl, and it was easy to run off further copies as and when they were needed. The first cassette album Conrad Schnitzler released was The Red Cassette in 1973. It was followed by The Black Cassette in 1974. Both albums feature Conrad Schnitzler experimenting and pushing musical boundaries, as he combines musical genres with his sonic palette. The two cassette albums increased interest in Conrad Schnitzler’s music. Despite this, Conrad Schnitzler next album, Work In Progress was a limited edition box set. Only 100 copies were pressed, and each box set included three LPs and a cassette. This included copies the Kluster live Schwartz and Conrad Schnitzler’s first two solo albums, Rot and Blau. After the box set was released, Conrad Schnitzler returned the master tapes to his archives. That’s where Conrad Schnitzler stored all the music he recorded during a career that spanned five decades. By the time of Conrad Schnitzler’s death in 2011, his vast, sprawling archives featured the master tapes to several hundred recordings. The job of organising the master tapes fell to Conrad Schnitzler’s former musical partner Wolfgang Seidel. He was appointed guardian of Conrad Schnitzler’s archive. This is a important role, and one Wolfgang Seidel has dedicated himself to. He realises the importance of the music within Conrad Schnitzler’s archive. This includes everything from the master tapes to albums, to recordings of concerts that were committed to cassette. Some of the master tapes and cassettes Wolfgang Seidel discovered, only featured the one track. The archive was proving to be a treasure trove. Especially when Wolfgang Seidel discovered long lost, hidden treasure. Tucked away in Conrad Schnitzler’s archive were two tapes which were mysteriously marked Filmmusik 1975 and Filmmusik 1980. Wolfgang Seidel dusted these down, and looked at them. However, there was no other information with the tapes. Conrad Schnitzler hadn’t noted down if the tracks were meant to accompany a film or video. The tapes was turning into a mystery. So Wolfgang Seidel setup the tape machine and began to listen to the music that featured on Filmmusik 1975 A and Filmmusik 1980. In an instant, Wolfgang Seidel was transported back to 1975 and then 1980. He was listening to his old friend Conrad Schnitzler at his most accessible. Mesmeric, entrancing and pulsating bass lines are joined by washes of ethereal, elegiac synths on Mrz 80, which opens Filmmuzik 1. Other times, including on Okt 75 and Okt 80 the synths are futuristic and take on a cinematic, sci-fi sound. Both tracks still sound like the soundtrack-in-waiting to a sci-fi film. Then Apr 80 takes on a proto-techno, cinematic sound. There’s a moody and menacing undercurrent to Dez 80 as drones wash in and out. These drones return on Sep 75, as it veers between haunting and wistful to melodic and beautiful. Soon, though, it’s all change. A pumping, pulsating bass provides the heartbeat to Feb 80 on this example of ethno-electro. Jul 80 then features Conrad Schnitzler at his most inventive. He combines synths and drones to create an eerie, otherworldly and chilling cinematic soundscape. It has the word soundtrack written all over it. So does Aug 75 which somehow, manages to be minimalist, menacing and futuristic all at once. This is quite an achievement. The closing track Jan 80 features oscillating synths that sound as if they were meant to feature on a film about space travel. Jan 80 paints pictures, and sets the listener’s imagination racing. That has been the case throughout Filmmuzik 1. It’s a welcome release and a reminder of a true musical pioneer, as his solo career began to unfold. Conrad Schnitzler was in a rich vein of musical form by 1975. He had already recorded classic albums with Tangerine Dream and Kluster. These albums featured inventive and innovative music that would influence further generations of musicians. So would Conrad Schnitzler’s first two albums, 1972s Con and 1973. Both of these albums are nowadays, regarded as classics. Along with the release of Black Cassette and Red Cassette albums, Conrad Schnitzler was in the midst of one of the most creative periods of his career. This continued between 1975 and 1980. Proof of this is the music on Filmmuzik 1. It has lain unreleased in Conrad Schnitzler’s archives until relatively recently. That was until the tapes were discovered by Wolfgang Seidel, who is the guardian of Conrad Schnitzler’s archive. He realised the importance of the music on Filmmuzik 1, so approached the Hamburg based label Bureau B about releasing some of the music. Ten of these featured on the recently released Filmmuzik 1. It looks like the start of a series. Already, Bureau B have announced that were will be a followup to Filmmuzik 1. The second volume in this series, Filmmuzik 2 will be released in February 2017. This is a welcome release. Especially if the music is as good as that on Filmmuzik 1. On Filmmuzik 1, Conrad Schnitzler combines elements of ambient and avant-garde, Berlin School and Krautrock with electronic and experimental music. Usually, several genres are combined by Conrad Schnitzler to create a soundscape. To create these soundscapes, Conrad Schnitzler deploys an array of keyboards, synths, drum machines, sound effects and found sounds. They’re Conrad Schnitzler’s sonic palette, which he puts to good use on on Filmmuzik 1. Each of the soundscapes on Filmmuzik 1 have a cinematic sound. They’re guaranteed to set the listener’s imagination racing. Some of the tracks futuristic, with a sci-fi sound, while others are eerie, moody and otherworldly. Some have a mesmeric quality, while others are ethereal, elegiac or melodic and have an inherent beauty. However, each of the tracks on Filmmuzik 1 have one thing in common…they’re timeless. Despite being recorded in 1975 and 1980, there’s a freshness to the music which still sounds relevant today. Indeed, it’s hard to believe that some of tracks are forty-one years old. These tracks have aged well. They’re also among the most accessible music that Conrad Schnitzler has recorded. That’s why Filmmuzik 1 is the perfect starting place for newcomers to the music of Conrad Schnitzler. It’s a gateway album to the rest of Conrad Schnitzler’s back-catalogue. 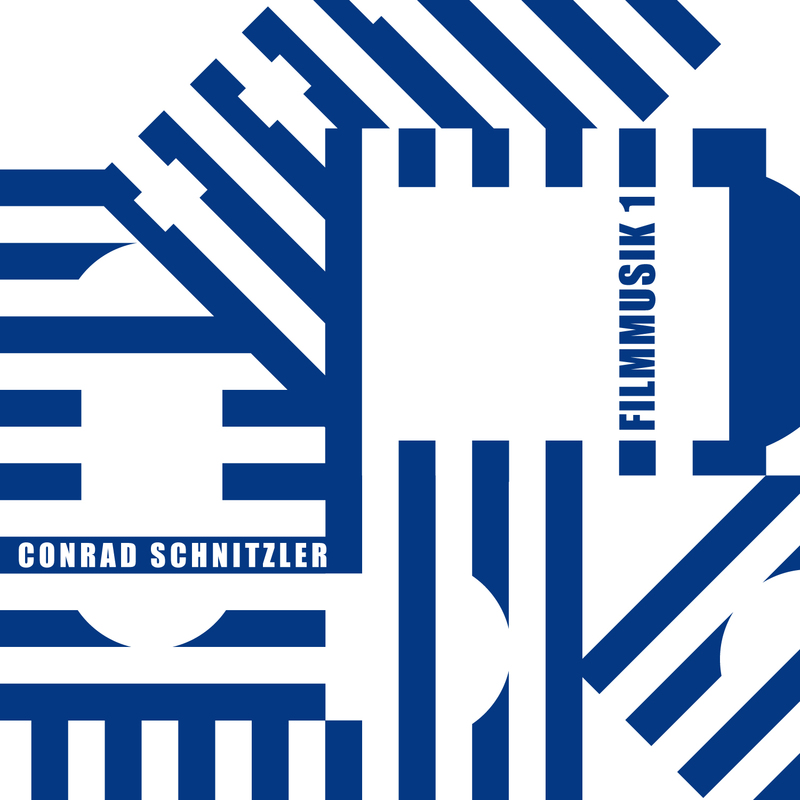 Filmmuzik 1 is sure to be the first step in a voyage of discovery through the delights of Conrad Schnitzler’s back-catalogue. However, this is no ordinary back-catalogue. Conrad Schnitzler’s back-catalogue is vast. He was a prolific solo artist and collaborator. The journey through Conrad Schnitzler’s back-catalogue brings to mind Loa’s quote that: “a journey of a thousand miles begins with a single step.” The first step in the journey through Conrad Schnitzler’s back-catalogue is Filmmuzik 1.